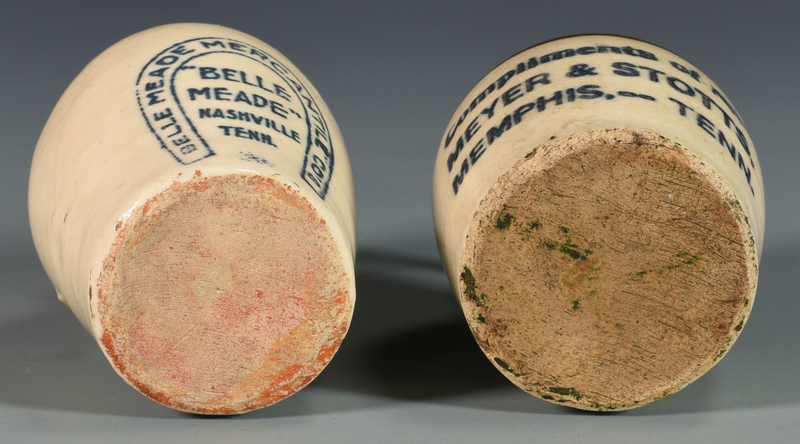 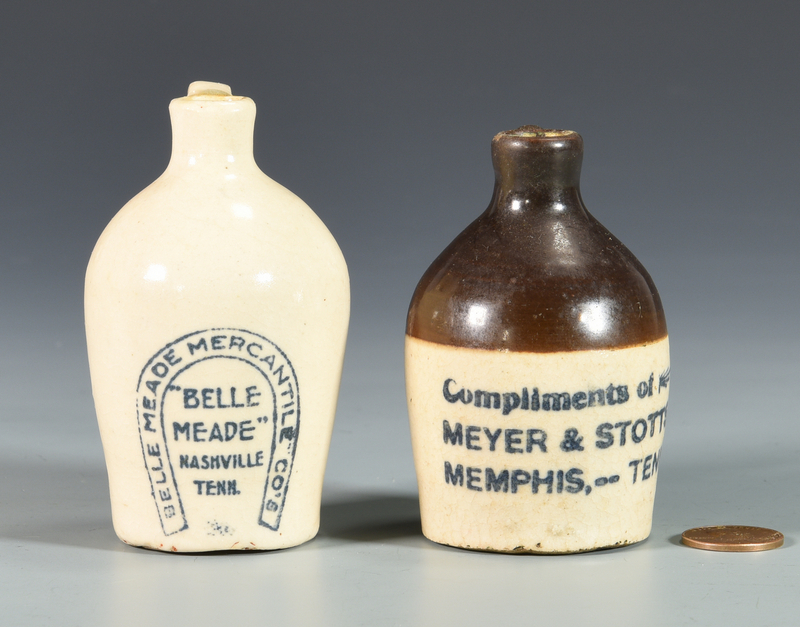 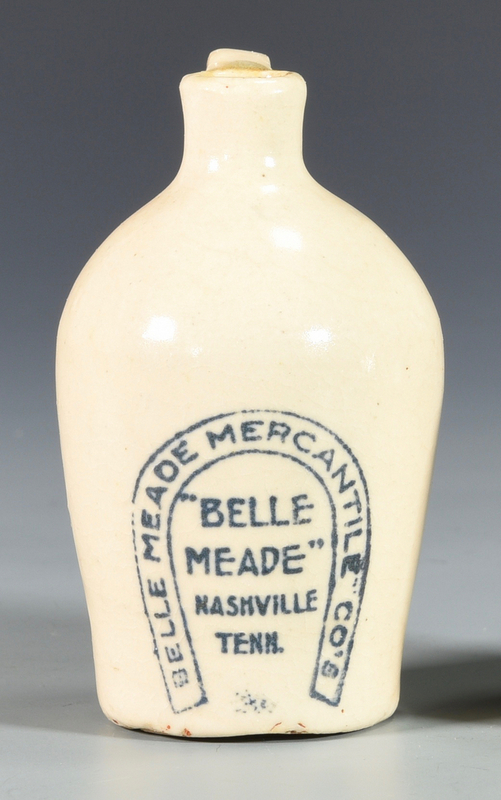 1st item: Nashville, Tennessee "Belle Meade" miniature whiskey advertising jug having white/tan slip glaze and cobalt stenciled lettering reading "Belle Meade" Nashville, Tenn. and "Belle Meade Mercantile Co's" within a cobalt horseshoe. 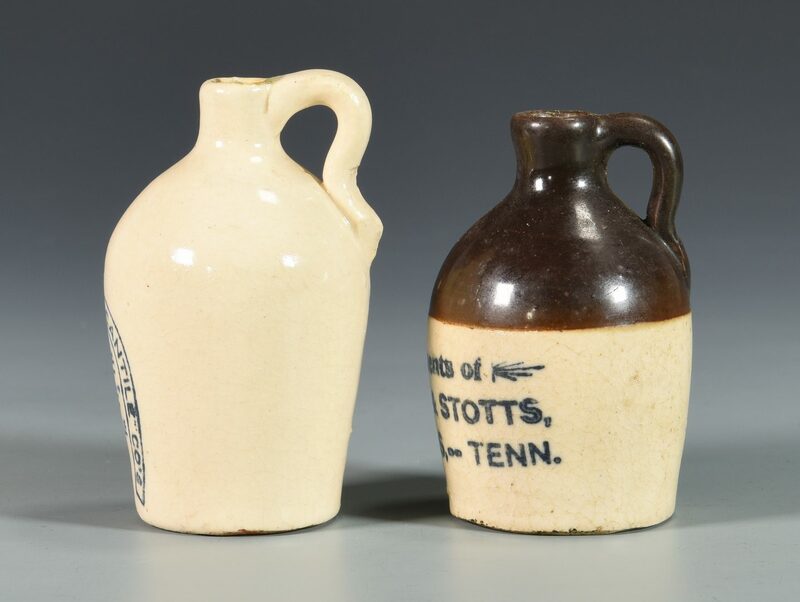 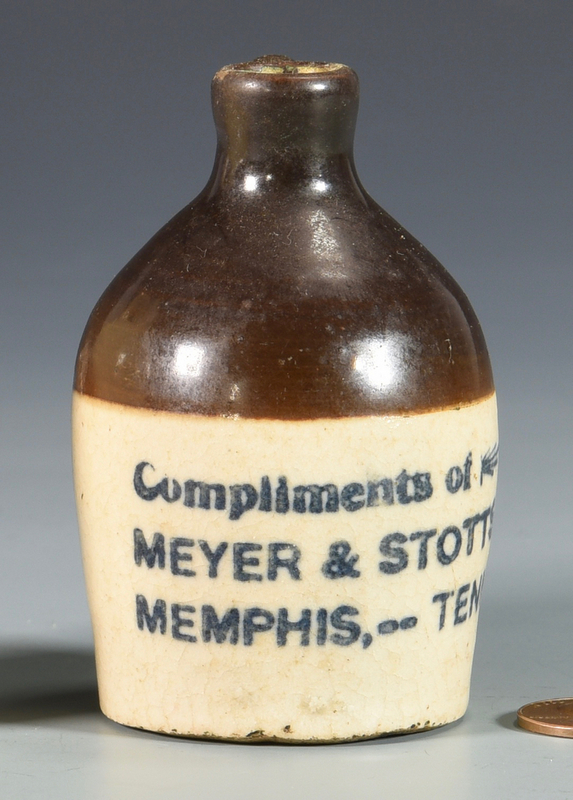 3 1/2" H. 2nd item: Memphis, Tennessee miniature whiskey advertising jug have brown and tan glaze with cobalt stenciled lettering reading "Compliments of MEYER & STOTTS, MEMPHIS, –TENN.". 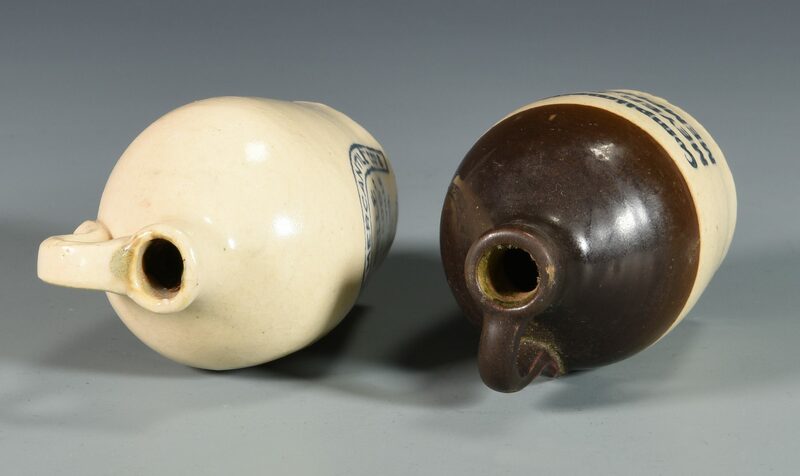 3" H. Both Early 20th Century. 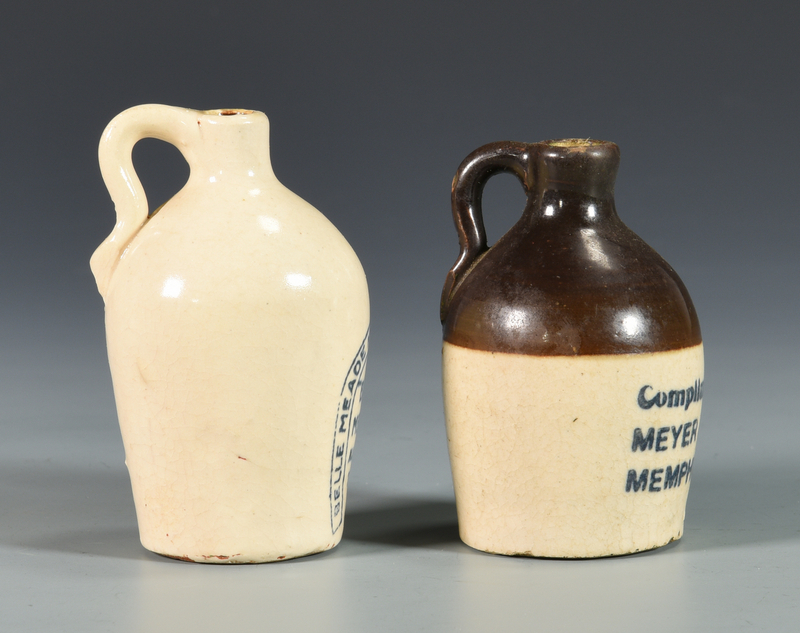 CONDITION: Very minor fleabites to rim of 1st jug. 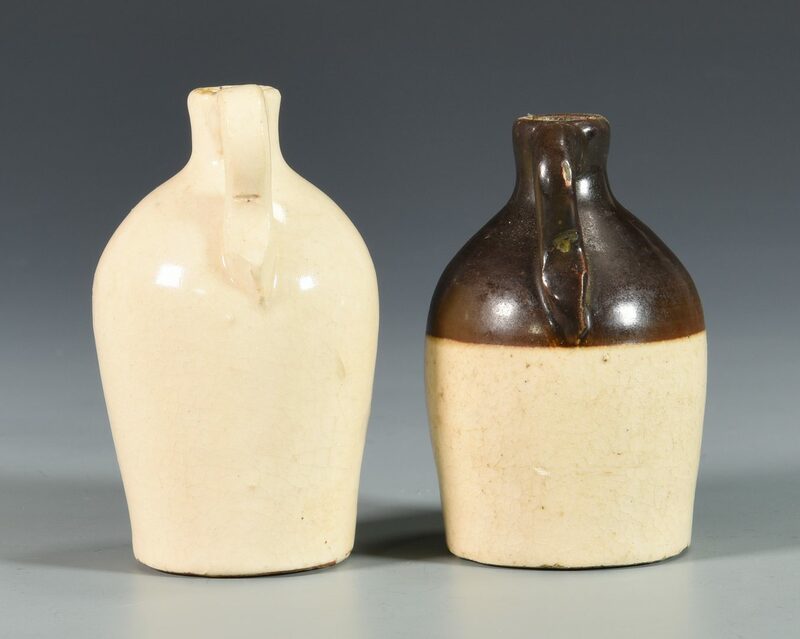 Fleabites to handle of second jug.